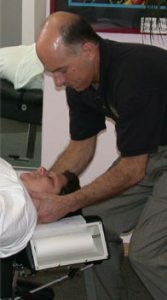 Long Beach Chiropractic : Dr. Leo, Long Beach NY: What is Chiropractic? Chiropractic is a branch of the healing arts concerned with the relation between structure and function. We live and experience life through the nervous system, the channels with which our life force flows. Chiropractic makes people more adaptable by offsetting the stresses of life, whether it be physical (poor posture, injury), emotional (stress) or chemical (toxicity, poor nutrition). People who have suffered an alteration of their spine due to a physical trauma, chemical toxicity or severe emotional event. Folks of all ages who have experienced a reduced quality of life due to a physical ailment, loss of function of a body part or system. Your brain generates Life Power that is conveyed through your body as a mental impulse which travels via your spinal cord and nerves. Spinal bones and nerves that should protect this precious power can move out of alignment altering your Life Expression and Experience. A Chiropractor does not prescribe medication or perform physical therapy. Chiropractic care focuses on the spine for the cause and correction of your unwanted health condition. Only a Chiropractor is trained to analyze, locate and correct the cause of your nerve system irritation and spinal alteration and specifically adjust the spine to free your life healing power. • Chiropractic releases your Inner Healing Power. • Computerized Non-Invasive Nerve Scan that demonstrates Nerve System Interference and Pressure.